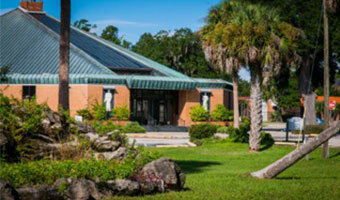 At Sacred Heart, parishioners pray the Rosary at the following times. Praying the Rosary is a wonderful way to prepare for Mass, and it is a most fitting meditation for us after Mass. ▪ Tuesday after 11:00am Mass & Tuesday 7:00pm. 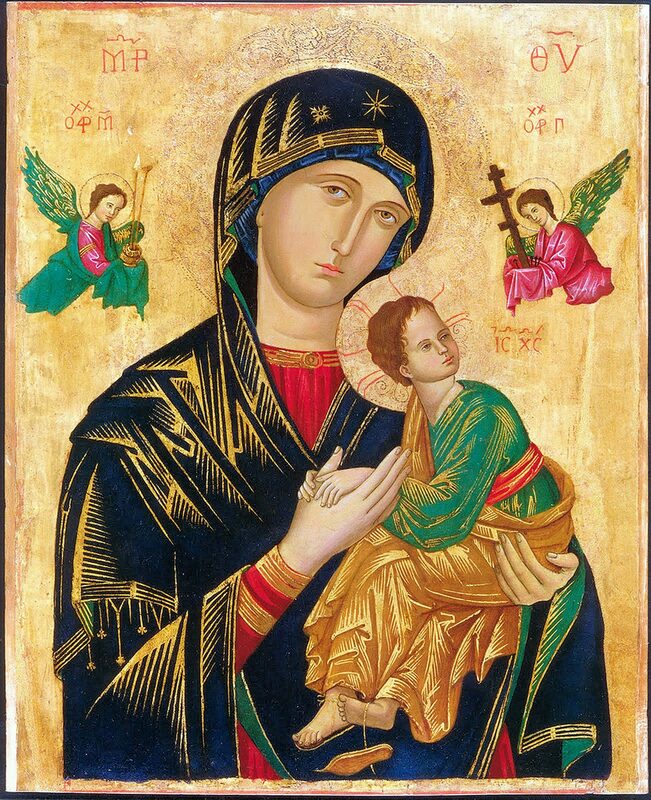 Every Tuesday of the year, at Sacred Heart Parish, we hold a Novena to Our Lady of Perpetual Help. Since Sacred Heart Parish is in the care of the Redemptorist Fathers, devotion to Our Lady is very much a part of our parish life. The Redemptorists Rule of Life as written by St. Alphonsus requires that Redemptorists have an extraordinary love and devotion to our Blessed Lady and to promote this devotion to all in their care. Each Tuesday, after the 11:00 am Mass and again in the evening at 7:00pm we have Novena Devotions to Our Lady of Perpetual Help. Come and be strengthened and blessed by Our Lady. 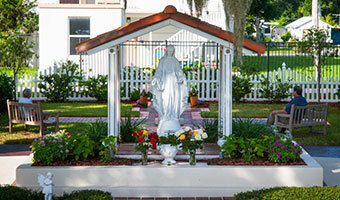 A prayer garden built mainly by parishioners in memory of a beloved former pastor, Fr. Francis Browne, C.Ss.R. The garden sits in a peaceful location surrounded by ancient oak trees with colorful flowers. The memorial bricks are laid in the design of the San Damiano cross, and in the middle of the cross sits an earthen color water fountain. Centering Prayer helps you seek the small, still voice of God. Centering Prayer helps you find God within and hear with the ear of the heart. Through Centering Prayer, you will learn about prayer as a relationship, how to deal with thoughts during prayer and how to deepen your relationship with God. You will also have an opportunity to experience the prayer together with others. The Cursillo Movement is both a movement and method. The purpose of the movement is to create small groups of Christians that will evangelize their environments with the Gospel spirit. The purpose of the method is to help a person to live what is fundamental for being a Christian by committing themselves to the spiritual aids the Church offers in order to grow in piety, study and action. Every week a new home is being visited by the Traveling Mother of Divine Mercy to promote praying of the Rosary and the Chaplet of Divine Mercy by families, together with their family members and friends. The Legion of Mary is a worldwide association of Catholics who, with the sanction of the Church and under the powerful leadership of Mary, the Mother of God, have formed themselves into a Legion for service to the Church. During our meetings, we pray the Rosary and other prayers, discuss the previous weeks work and plan future work. Tuesday at 9:00am at Sacred Heart Parish, the Our Lady of Perpetual Help Praesidium of the Legion of Mary meets in the Parish Office Conference Room. Perhaps it is not too much to claim that in the proper working of a praesidium on the foregoing lines lies one of the greatest possible educative influences which could be brought to bear on the young. It will develop in them every quality which is proper to the Christian character, and will serve as a mold out of which will come in number holy and reliant young people, a joy to their parents and superiors, and a mainstay. 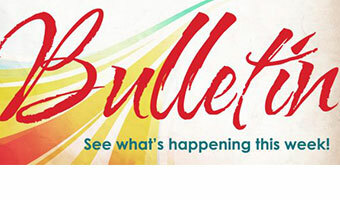 Activities: Prayer, altar serving, making rosaries, visiting and caring for the sick, being kind and helpful.